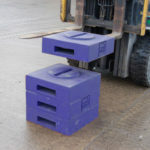 Hand Test Weights are a simple way to carry out small load or deflection tests, or for using as ballast for counterbalance machines. Protier offer a range of slab test weights with a capacity of up to 100 tonnes. The test weights come in various forms and sizes, from 50KG up to 8000KG in individual pieces. 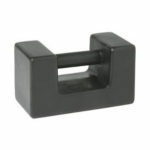 We can also supply cradles to combine the weight, so that they can be lifted as a single piece. 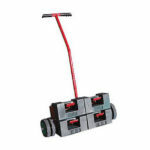 Stackable test weights keep lifts compact. Protier have a variety of cradles to suit our test weights, each one different to allow us to provide the right product to each application. Test weight Trolleys are designed to speed up and assist the moving of hand test weights, minimising the amount of manual handling required.